The New York Islanders announced today that forward Kyle Okposo has agreed to terms on a five-year contract. 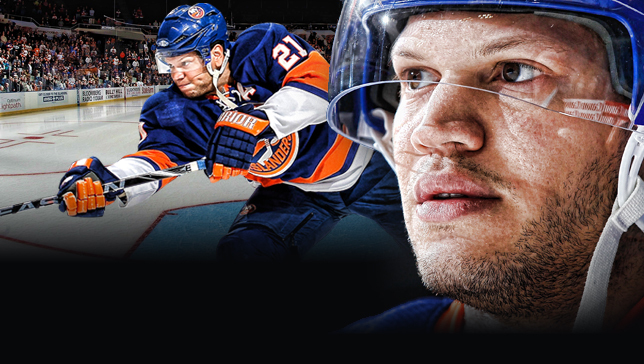 Okposo, 23, scored five goals with 15 assists in 38 games for the Islanders last season. The St. Paul, MN, native missed the first 44 games of 2010-11 due to a shoulder injury, which he suffered during training camp. The Islanders selected Okposo in the first round, seventh overall, of the 2006 NHL Entry Draft. He has served as an assistant captain since 2009-10. In 192 career NHL games, all with the Islanders, Okposo has scored 116 points (44 goals, 72 assists). The 6’0”, 210-pound forward has also played in 35 American Hockey League games with the Bridgeport Sound Tigers, and he’s represented the United States at two World Championships and two World Junior Championships. Before beginning his professional career, Okposo spent one season in the United States Hockey League with the Des Moines Buccaneers, followed by two collegiate years at the University of Minnesota.